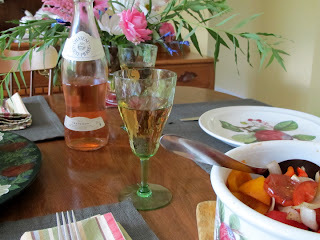 Summer is a fabulous time to enjoy rose’! I have been enjoying them and can hopefully start relaying them to you here, amidst much busy activity! Pale salmon pink in color, this is classic Provençal rose’. The light color comes from very brief contact with the skins of the grapes (in this case grenache and cinsault). Summery, with a bouquet of fresh sun kissed berries, along with notes of white peaches, rainier cherries and apricots on the nose and palate, this is crystal clean, vibrant and refreshing. While long on aromatics and having plenty of character, this is subtly balanced and altogether pleasant and unpretentious, truly a delight! Finesse and an elegant bottle to boot! 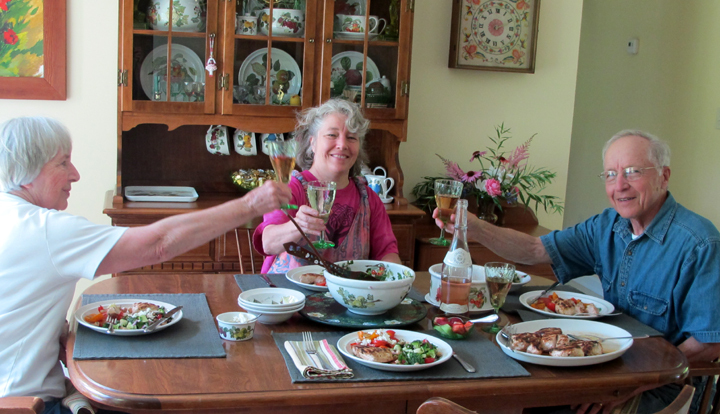 Enjoy with Mediterranean-style cuisine in your own favorite summer locale. Also pleasing on the pocketbook at around $12.99/btl! Commencer à boire! Located in Côtes de Provence in the southeastern part of France on the Mediterrean Sea, the Château Saint-Pierre domaine apparently dates back to the eleventh century. "Recent rehabilitation work in the cellar has turned up vestiges of a church dedicated to Saint Pierre that had belonged to foulques, the lord of les Arcs. This wine comes from a 10th century priory with a lovely church and courtyard garden in France's Cotes de Luberon appellation." As Tabitha from CRUSH Distributors points out ... "it certainly appeals to the romantic in us. 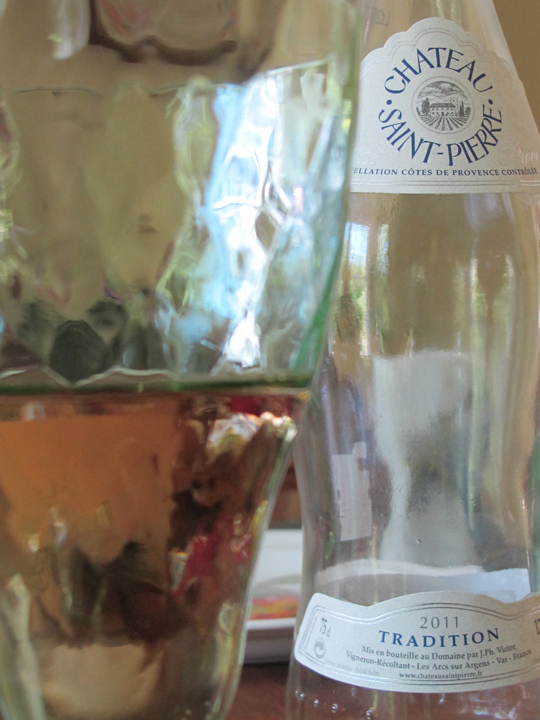 And romance, especially summer romance, is what the delicate and nuanced Chateau Saint-Pierre de Rosé is all about." 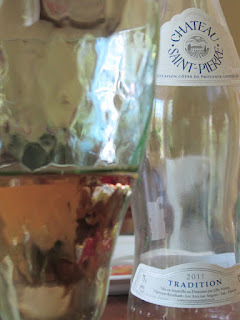 I love Provençal rose’, always elegant with dry finish. Enjoying with family and friends even better ... More to come! This wine is brought to us by CRUSH Distributors and imported by Luxe Vintages. Find here in Portland at Rosemont Markets, Old Port Wines and RSVP.